David Kelsey brings years of experience from 21c and Taste of Belgium. 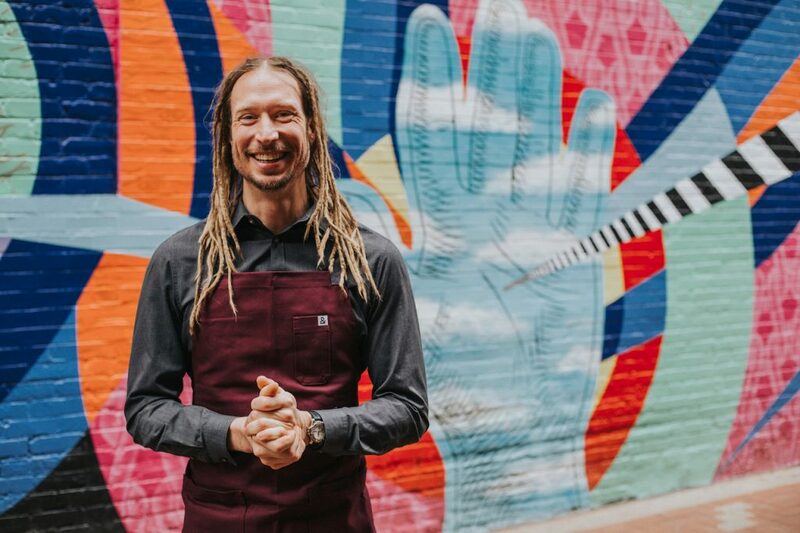 Following the departure of longtime executive chef Jared Bennett this fall, downtown restaurant Metropole (located at 609 Walnut St. within the 21c Museum Hotel Cincinnati) has announced the hiring of its new executive chef David Kelsey. Kelsey brings three years of experience with 21c, having started with the company in 2016 and serving as corporate sous chef from 2017–2019. Prior to joining 21c, he was executive chef of Taste of Belgium and was integral to the restaurant’s expansion beyond Over-the-Rhine. Since officially taking the reins at Metropole in November, Kelsey has revamped the menu, applying his perspective on New American cuisine, which encompasses a contemporary take on old-world techniques and a focus on nourishing food.